Tansy essential oil and blue tansy essential oil are very different in their chemical make-up, and subsequent use, despite the fact that they both belong to the Asteraceae plant family. In addition, blue tansy can also be known by the synonyms Moroccan blue chamomile and Moroccan tansy, adding to further confusion with another essential oil. Here’s a quick look at the difference between these two types of tansy oils. Tansy (Tanacetum vulgare) is a medium-sized herb that grows up to three feet in height. It has dark-green, fern leaves and small, round, yellow flowers. It has a fragrant aroma. The essential oil is extracted by steam distillation from the aerial parts of the plant. Tansy essential oil has a warm, spicy-herbaceous aroma. 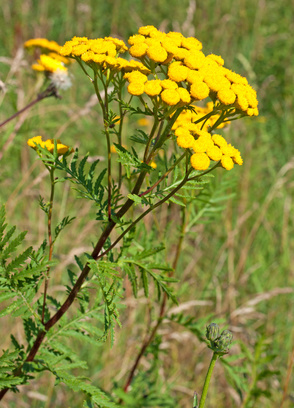 The principal chemical component in tansy essential oil is thujone, a fairly “reactive” component. Lawless lists tansy as “abortifacient” and advises against use of the essential oil for therapeutic aromatherapy practice. Blue tansy (Tanacetum annuum) is confusingly also known as blue Moroccan chamomile – not to be confused with Moroccan chamomile (Ormenis multicaulis)*. It owes its other synonym, Moroccan tansy, to its country of origin, Morocco. Blue tansy is an annual herb that produces one of the “blue” essential oils; other “blue” essential oils include German chamomile (Matricaria recutica), yarrow (Achillea millefolium), and Roman chamomile (Chamaemelum nobile). All members of the Asteraceae plant family, the “blue” oils owe their nickname to the azulene chemical component present in the essential oil (from the Spanish word azul, meaning blue). *NOTE: Schnaubelt lists blue tansy (tanacetum annuum) as Moroccan chamomile in his works. It is important to be familiar with the botanical names of plants for this reason. Blue tansy essential oil has a herbaceous aroma. It is extracted from the annual herb (aerial parts) by steam distillation. Rose list the uses of blue tansy essential oil for sciatica, asthma, nerve sedative, and in skincare. Schnaubelt indicates its use for allergies. However, the essential oil is contra-indicated for use with women who have an endocrine imbalance and in pregnancy. In addition, do not use in dilution above 5%. 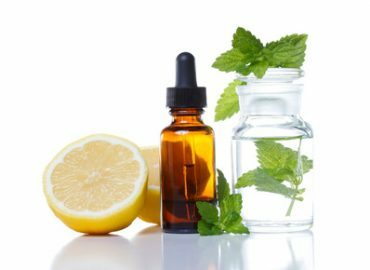 If you are interested in learning more about essential oils, consider one of the Sedona Aromatherapie home study aromatherapy courses. Visit the courses home page to learn more. Author is a UK-certified aromatherapist, published author in aromatherapy, an approved education provider for the National Association for Holistic Aromatherapy (NAHA), an aromatherapy business owner, and Chief Editor for the NAHA Aromatherapy Journal. 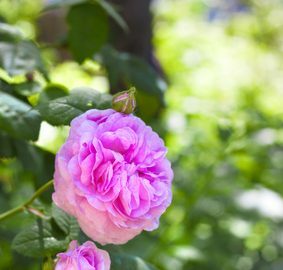 Understanding Botany for Aromatherapy: What is a Hybrid Plant? 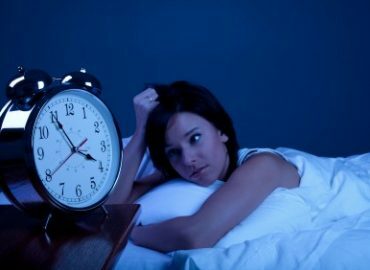 Can blue tansy be used in epileptics? You would need to have a consultation with a certified aromatherapist to obtain a definitive answer specific to your health history. It can interact with certain medications. It also depends on dilution rate and how you use it. Hi there: Just curious which of the references above did you find the info for this statement: However, the essential oil is contra-indicated for use with women who have an endocrine imbalance and in pregnancy. In addition, do not use in dilution above 5%.” I use some products which contain blue tansy and would love to be more educated about it. I could not find the information in the Essential Oil Safety book 2nd ed. (by Tisserand, et al) that I have. Thanks so much! Most essential oils should only be used at about 2% dilution in an aromatherapy blend. 5% is quite high, and I wouldn’t recommend using any essential oil above this level, but particularly more “volatile” essential oils such as blue tansy (check out its chemical components 🙂 ). Tisserand and young also state that it can interact with some drugs (see page 439).